Founded in 1983 by Dr. Rajendra Singh, in conjunction with the deployment of the first US advanced mobile phone system (“AMPS”) and working directly with industry pioneers such as Craig McCaw, Craig Farrell, and Wayne Schelle to design the networks that served as the platforms for modern wireless that is known today, Lightbridge Communications Corporation (LCC) is a pioneer in the wireless industry. The company has been involved in the design and optimization of networks utilizing virtually every major transport technology ranging from traditional microwave and leased line to advanced technologies. As the LCC has been continually expanding its capabilities and services over the past thirty years of operation, the company is thus looking for a fresh solution to time the attendance of staffs in their newly established office compound. In regards to the huge scale that LCC operates in, our Dubai reseller, Hutaib InfoTech Solutions advises that FingerTec R2 be selected for the job at hand. With FingerTec R2, staffs at LCC can easily time their attendances as the device offers three verification methods, namely fingerprint, card and password. Therefore, not only that employees get to manage their attendances efficiently but the safety of the office is likewise guaranteed as biometrics is proof of one’s real identity. If that isn’t assuring enough, R2 even comes with a built-in alarm to alert the personnel in charge of any break-ins or doors left open. 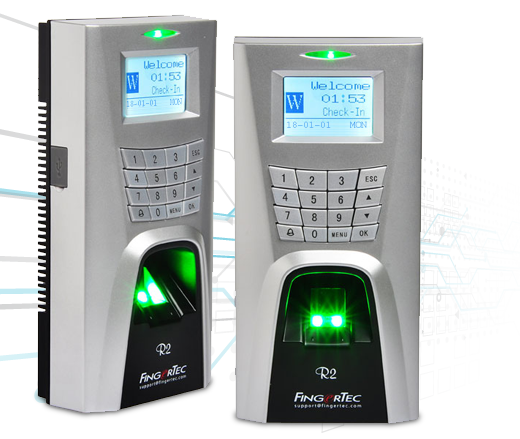 All in all, FingerTec R2 is the ideal solution for LCC as it is both security and efficiency in one package. LCC is now using FingerTec R2 at its latest office in Dubai Business Bay and is very satisfied with the results our biometric solutions produced. At FingerTec, we produces sophisticated biometric products that are affordable and practical for the Workforce Management And Security Industry. For more information regarding FingerTec R2 or other products, click on the link below.